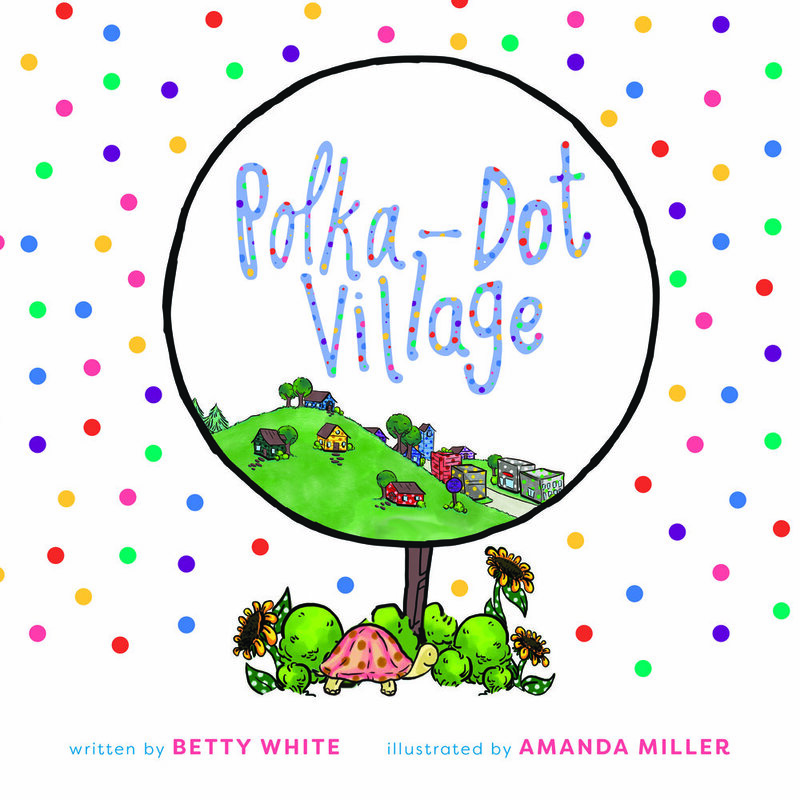 A town covered in polka-dots provides the setting for this zany tale, where even the animals join in on the polka-dotted fun. This colorful village is home to dainty dots, silly spots, and the townspeople that love them. Polka-dots pop up in every aspect of the story, from the pepperoni on a slice of pizza to the pathways between patterned houses. Can you find them all? Betty White has a fascination with words. Words are useful and fun. There are enchanting stories, poetry, letters from special people, love notes, puzzles, and lyrics to favorite songs. Betty has worked as an elementary school teacher and a school librarian, and as a mother, her four children were brought up having fun with words, too. Now, Betty spends time creating word games and writing stories that encourage children to laugh, dream, discover new places, solve problems, and appreciate the world around them. She is also the author of THE SOAKY-CROAKY, SLIPPY-DRIPPY, SLOSHY-GALOSHY DAY. Amanda Miller has been drawing since her fingers could hold a pencil. She is a multi-faceted artist, focused mainly on illustration. She is also the illustrator of THE SOAKY-CROAKY, SLIPPY-DRIPPY, SLOSHY-GALOSHY DAY.